Stonewall Gazette: Tom Goss Releases New Album, Music Video and Will Be Coming to a City Near You! Tom Goss Releases New Album, Music Video and Will Be Coming to a City Near You! 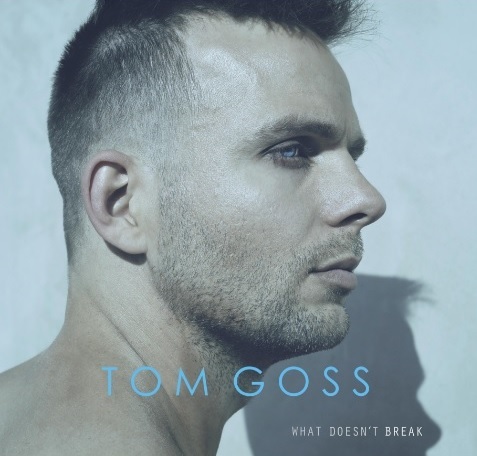 Openly gay singer Tom Goss just released a new album titled, "What Doesn't Break" and the first single is a deeply touching pop ballad called, "All My Life" (watch video below). Goss told Billboard magazine that he really wanted to do something different this time around for one of his music videos: "I wanted to be completely vulnerable. I wanted to strip away the Hollywood gloss and tap into the true emotion of the song and the experience of love... I booked a studio, camera and lights, then sat alone with myself. I shot, directed and edited the video. Honestly, I'm not sure I could have been as emotionally revealing had there been a dozen people in the room. I wanted this to be the most emotionally honest thing I've ever done. I believe I have accomplished that." Tom Goss is touring in support of the new album, be sure to visit his site for concert dates! Watch Music Video - Tom Goss: "All My Life"